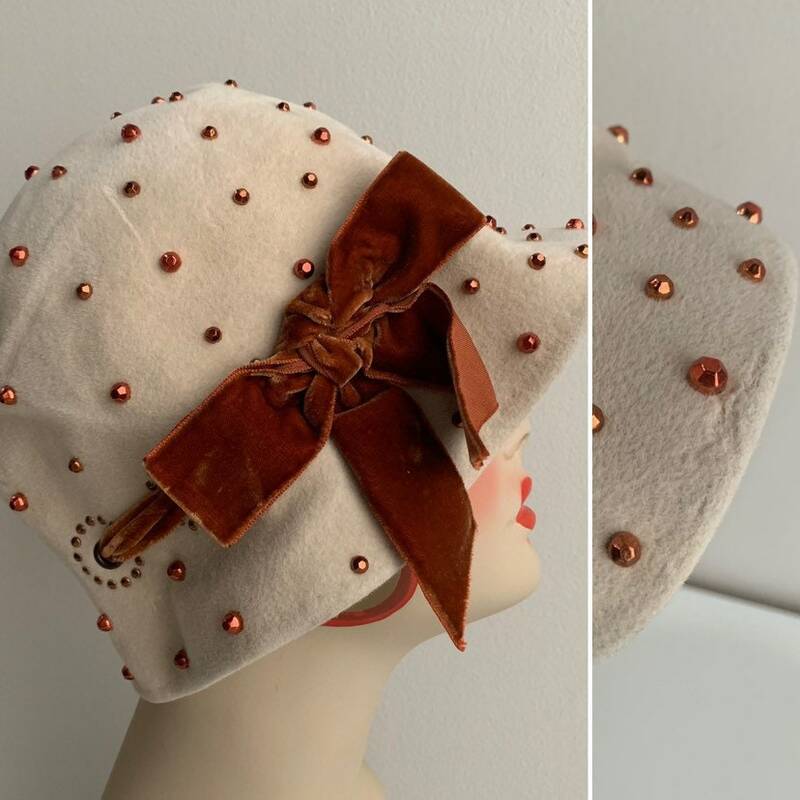 Vintage 1960s does 1920s women's beige felt bucket-style cloche hat with copper studs & velvet bow ribbon detail. Near perfect vintage condition; little to no wear from age and use. Small worn area near edge of brim (pictured). 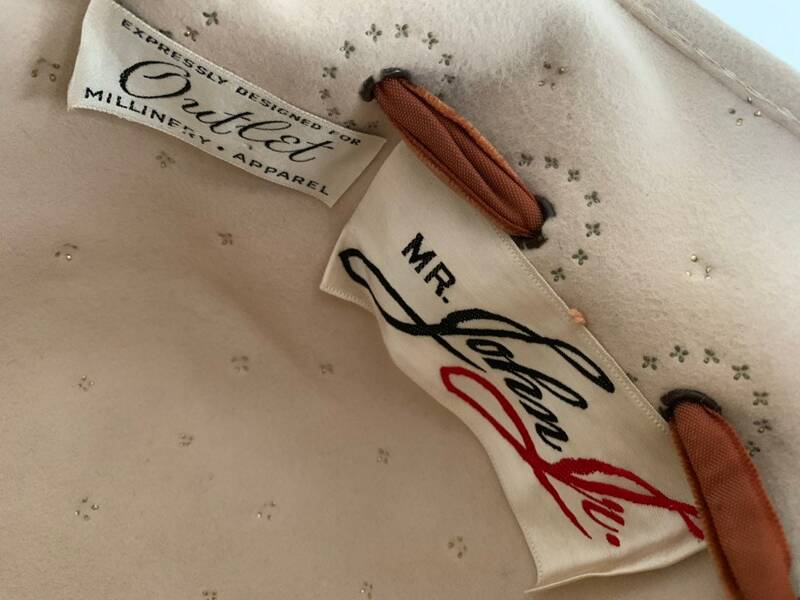 No holes, rips, tears, stains, markings, areas of discoloration, fading, open seams or other issues / damage. 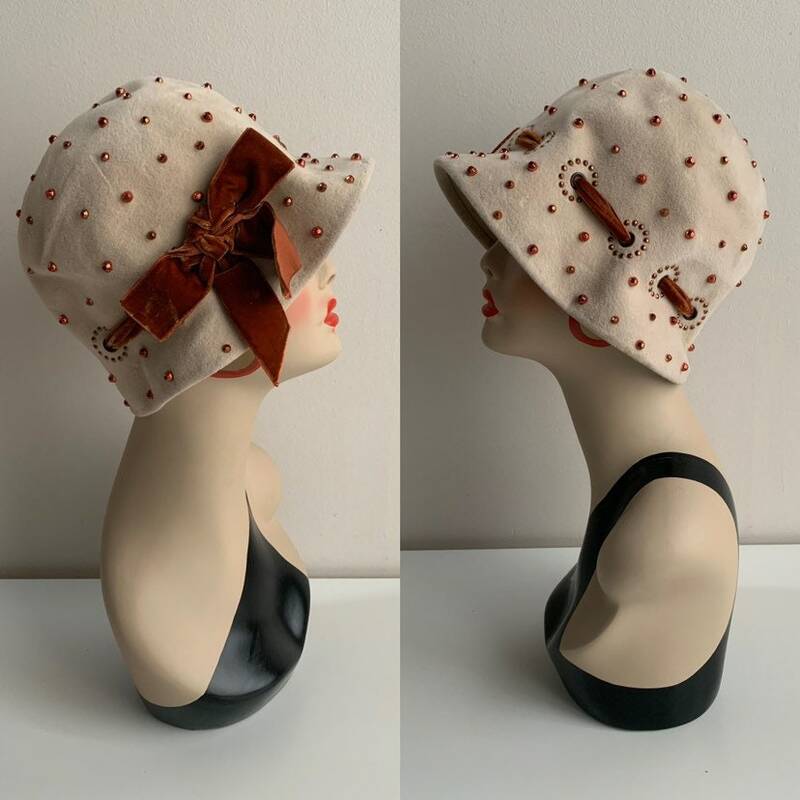 Hat has rounded shape on top with no seams. 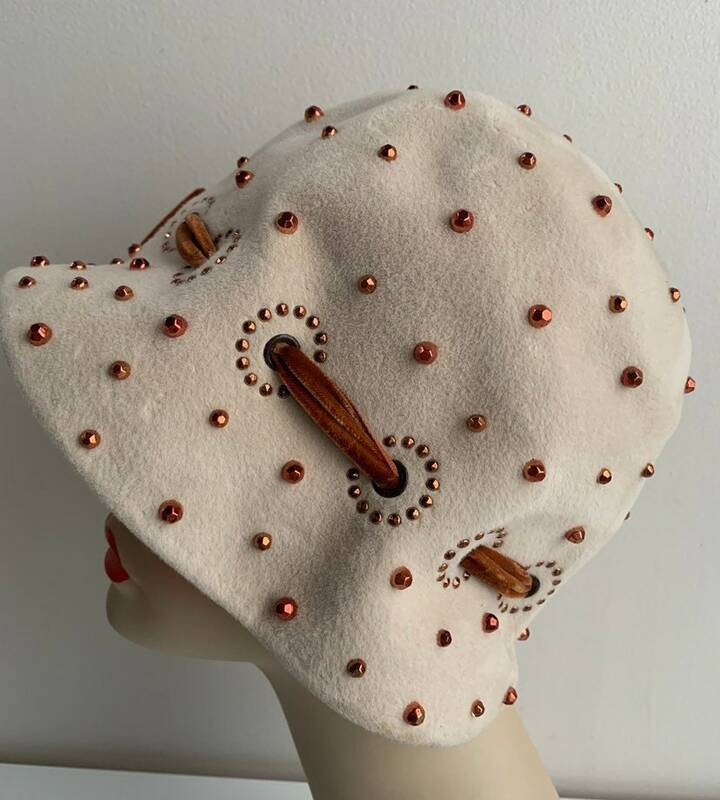 Copper-colored, 3D studs sprinkled across entire top of hat. 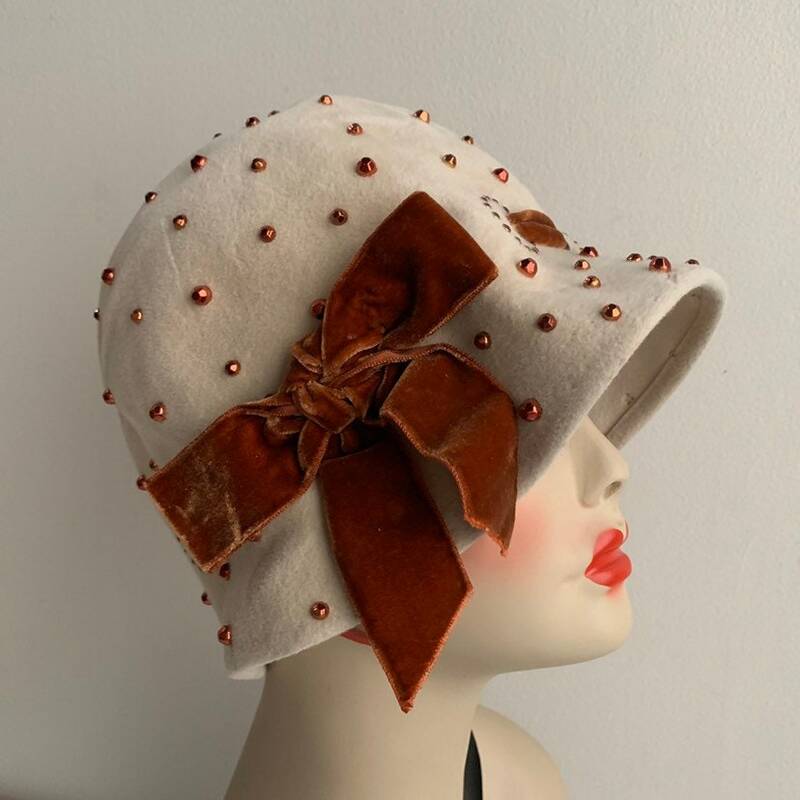 holes near bottom brim of hat that copper velvet ribbon has been strung through. 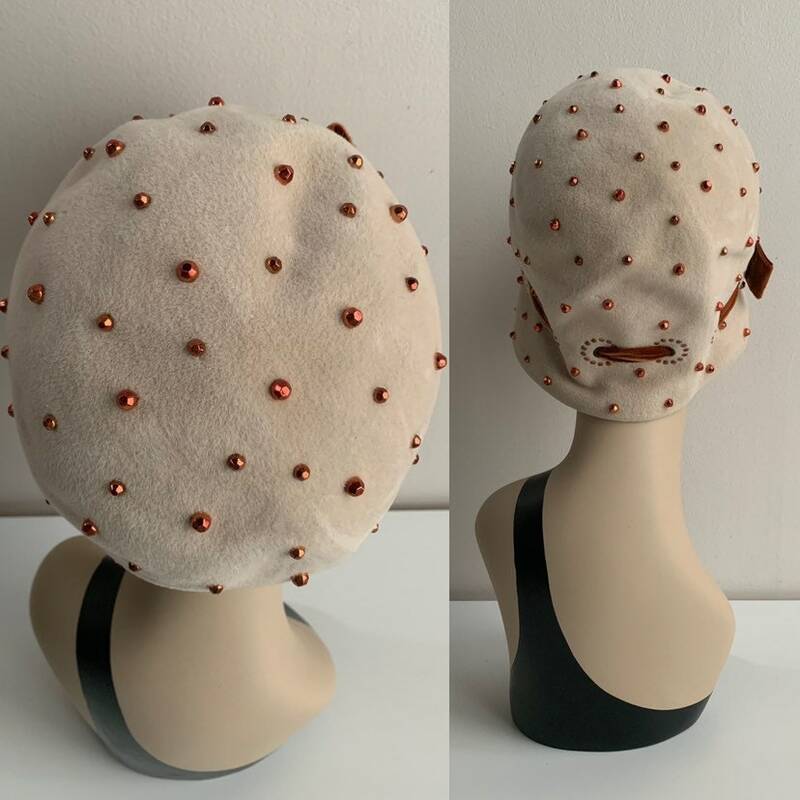 Holes have small copper-tone studs surrounding it. 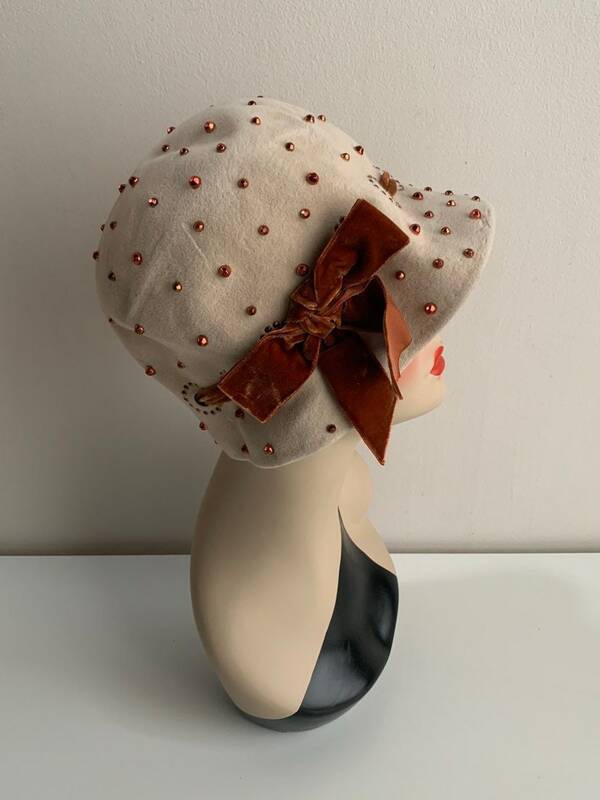 velvet ribbon is tied into a large bow on right side of hat. Bow is sewn down and cannot be untied unless stitches are ripped out. Brim of hat tapers out at end. 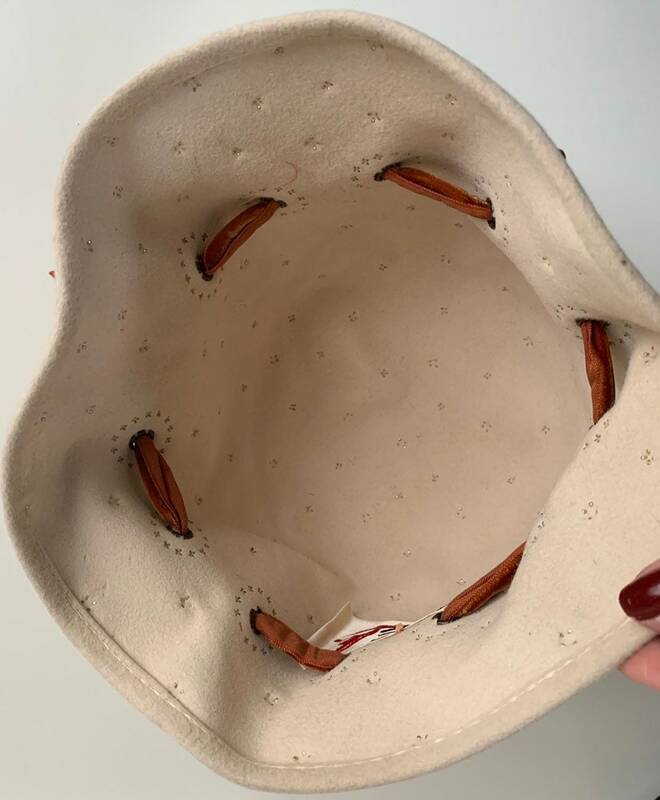 No seam at brim connecting it to rest of hat; hat is all one piece. No lining on inside. Metal feet from studs can be seen on underside of hat. Well-cared-for and well-stored by original owner. 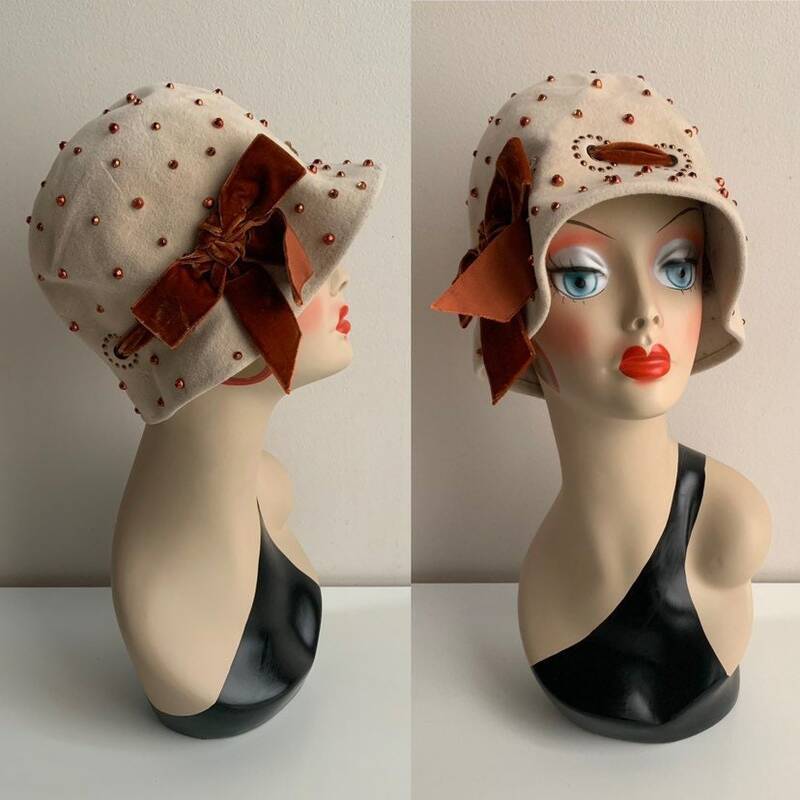 Hat material is semi-stiff and can hold shape on its own. 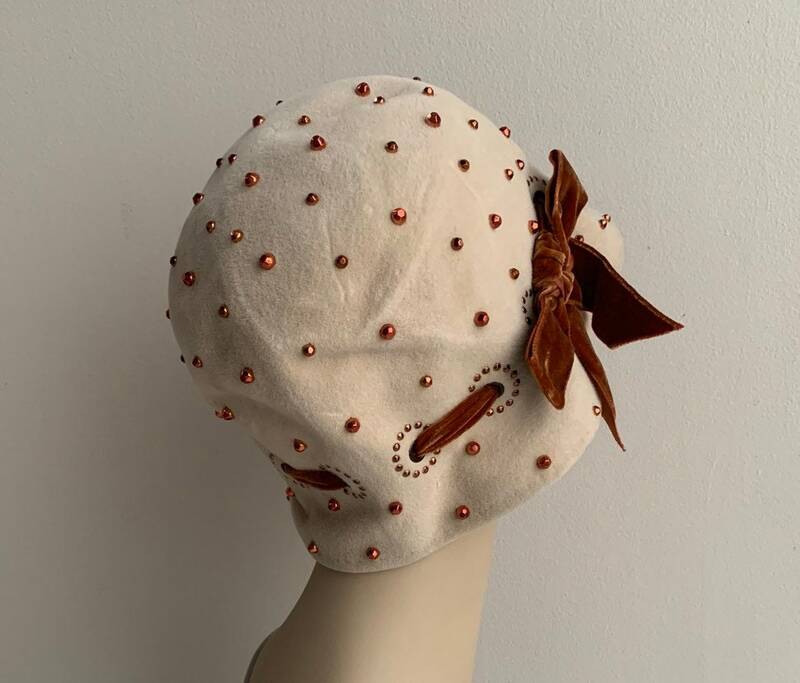 Made by Mr. John Jr., Expressly Designed for Outlet Millinery - Apparel (see photos of tags).